The capsule of Cn is one of its major virulence factors as evidenced by the fact that acapsular strains are avirulent (Bulmer et al., 1967; Kwon-Chung & Rhodes, 1986). The capsule contains three major components: glucuronoxylomannan (GXM), galactoxylomannan (GalXM), and mannoproteins. GXM and GalXM are polysaccharides and together make up most of the capsule with mannoproteins being a minor component on a mass basis. Mannoproteins are contained in the cell wall or secreted into the extracellular space. They are the subject of many immunological studies as they are involved in triggering the host immune response, primarily through T cell stimulation (Mansour et al., 2002; Chaka et al., 1997; Huang et al., 2002; Pietrella et al., 2001a, 2002). There are a large number of different mannoproteins in the capsule (Levitz et al., 2001) that all contain several common motifs, including a signal sequence, a functional domain, a serine/threonine-rich region and an attachment site for a glycosylphosphatidylinositol anchor (Levitz & Specht, 2006). Many of these proteins are identified using sequence homology searches from genomic data. Numerous efforts are underway to characterize their function and location in the capsule (Huang et al., 2002). The two polysaccharide components of the capsule are well characterized. The structure of GXM and GalXM was deduced from sugar composition analysis, chemical medication, and NMR spectroscopy (Cherniak et al., 1998; Vaishnav et al., 1998). The structure of GXM consists of a mannan backbone with ß-d-xylopyranosyl, ß-d-glucuronosyl, and 6-0-acetyl branches. Six different structural reporter groups (M1-M6, Figure 6.2) are defined to describe the various repeat elements of GXM with a specific reporter group predominating in each cryptococ-cal serotype (Cherniak et al., 1998). 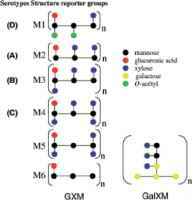 The structure of GalXM is more complex and consists of a branched a(1,6)-galactan backbone with the following possible branches on alternate galactose residues: ß(1,3)-linked galactose, a(1,4)-linked mannose, a(1,3)-linked mannose, ß(1,2)-linked xylose or ß(1,3)-linked xylose (Figure 6.2). 0-acetyl groups are also found in GalXM, but their precise location is unknown (Vaishnav et al., 1998). (Brandt et al., 1996), since in vivo passage may select for new polysaccharide variants. The process of capsule synthesis and assembly is a lively topic of debate (Bose et al., 2003; Janbon, 2004; Zaragoza et al., 2006; McFadden et al., 2006). Several models of capsule synthesis are proposed, but most groups agree on a broad outline for capsule synthesis. First, the precursors are made in the intracellular space. GXM requires GDP-mannose, UDP-xylose, and UDP-glucuronic acid as precursors. GDP-mannose is made in a three-step process involving three different enzymes, a phosphomannose isomerase (Wills et al., 2001), a phosphomannomutase, and a GDP-mannose pyrophosphorylase. The last two enzymes have not yet been characterized in Cn. UDP-xylose is made in a two-step process in which UDP-glucose is converted to UDP-glucuronic acid via UDP-glucose dehydrogenase (Bar-Peled et al., 2004; Moyrand & Janbon, 2004) and then UDP-glucuronic acid is converted to UDP-xylose via UDP-glucuronic acid decarboxylase (Bar-Peled et al., 2001). Next, the precursors are localized to the site of polysaccharide construction and the monosaccharides are assembled into polymers using an array of sugar transferases (Sommer et al., 2003) and at least one acetyl transferase (Moyrand et al., 2002, 2004; Janbon et al., 2001). The presence of antibody-reactive GXM components in the cytoplasm of Cn by immunoelectron microscopy suggests that much of the synthesis and assembly of capsular polysaccharide occur in the intracellular space (Feldmesser et al., 2000; Garcia-Rivera et al., 2004). The polysaccharide is then secreted from the plasma membrane via exocytosis (Yoneda & Doering, 2006) and then secreted through the cell wall via vesicle secretion to the extracellular space (Rodrigues et al., 2006). In fact, vesicular transport of capsular polysaccharide appears a solution to the problem of how to export large molecules through the fungal cell wall. Finally, the individual capsule components are assembled into a mature capsule through a mechanism that may involve self-association of polysac-charide molecules exported to the outside of the cell. a more recent model has proposed that capsule enlargement occurs by apical growth, with new capsular material added onto the outer edges of the capsule and the older capsular material closest to the cell wall (Zaragoza et al., 2006) (Figure 6.3B). This model proposes that smaller polysaccharides travel through the old capsular material to the capsule surface where they are assembled into the enlarging structure. This is consistent with another recent model based primarily on the physical properties of GXM (McFadden et al., 2006). In this recent model, the authors suggest that capsule assembly occurs by self-association of small GXM fibers that are released from the cell, since a single GXM molecule is not long enough to span the distance from the cell wall to the outer edge of the capsule. According to this scheme, shed polysac-charide are GXM fibers that are unable to find a suitable attachment point (McFadden et al., 2006). Ongoing research in this field will hopefully unify these models and increase our understanding of capsule structure and assembly. 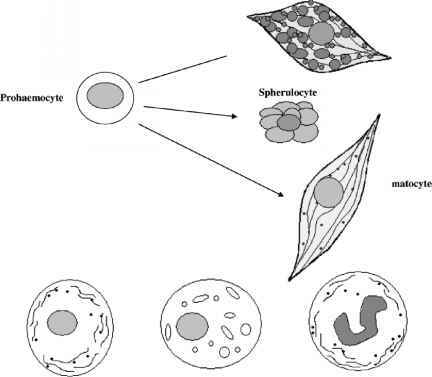 The capsule is one of the major virulence factors for Cn, primarily because it is antiphagocytic, required for intracellular replication and the shed polysaccharide functions as a major modulator of the host immune response. 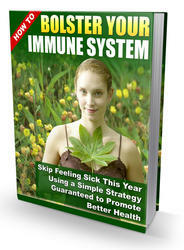 The release of GXM into tissue adversely affects immune function and interferes with host defense mechanisms. GXM inhibits migration and activation of antigen-presenting cells and also inhibits a Th1 response by inducing large amounts of proinflammatory cytokines. In addition, GXM seems to be required for dissemination from macrophages. Mouse macrophages infected with three different varieties of Cn show phagosomal fusion and extrusion of Cn, resulting in extracellular dissemination of Cn and survival of the macrophage to undergo phagocytosis of additional Cn (Alvarez & Casadevall, 2006). Examples of the large number of deleterious effects the capsule has on host defenses are listed in Table 6.1. In Cn, a number of capsular phenotypic switch variants have been reported that manifest as changes in colony morphology, including wrinkled, pseudohyphal, smooth, and mucoid (Fries et al., 1999). The phenomenon of phenotypic switching occurs in numerous pathogens and is defined as reversible phenotypic changes that arise in a population of cells at rates higher than the background mutation rate (Guerrero et al., 2006). Phenotypic switching occurs at rates of 10-3-10-5 in Cn and is reversible (Fries et al., 1999, 2001). Much of the work in Cn phenotypic switching has focused on a set of smooth (SM) and mucoid (MC) switch variants derived from a standard serotype D strain (Fries et al., 2001). The cells in MC colonies produce excess polysaccharide making the colonies appear shiny. Phenotypic switching between SM and MC occurs both in vivo and in vitro (Fries et al., 2001). In murine infections, MC is more virulent than SM, indicating that phenotypic switching has a role in virulence, possibly helping the fungus rapidly adapt to the host environment (Fries et al., 2001). Furthermore, in infected mice, SM Cn is more susceptible to antifungal therapies (Fries et al., 2005). Analyses of SM and MC Cn strains show differences in the structure of GXM, with different repeat structures between the variants. Other differences include an increase in viscosity of MC GXM and increased size (Fries et al., 1999, 2001). Phenotypic switching between SM and MC has also been observed in Cn var. gattii strains and clinical isolates of both variants have been isolated from patients (Jain et al., 2006). Retini et al. (1998), Monari et al. Mody and Syme (1993), Yauch et al. Denning et al. (1991), Hirano et al. Abbreviations: IL - interleukin; TNF-a - tumor necrosis factor alpha; EC - endothelial cell; DC - dendritic cell.